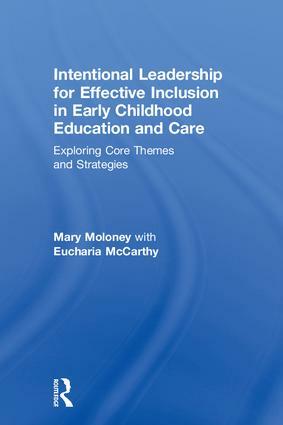 Dr Mary Moloney is a researcher, author and lecturer in Early Childhood Care and Education at Mary Immaculate College, Ireland. Mary previously worked as an early years educator, and has extensive experience of working with young children, and of leadership and management in the early childhood education and care field. Eucharia McCarthy is senior lecturer and Director of the Curriculum Development Unit and lecturer in Special Education at Mary Immaculate College, Ireland. She is also a PhD student at the University of Northampton.